Gameloft has released Asphalt 7: Heat, delivery over great racing game adapted to the iPad . It will have to go up in level winning races. You can choose from over 60 cars including the game in his garage and roll on any of the 15 circuits that you propose in the most popular cities such as Paris, London, Miami, you can even run for Hawaii. Asphalt 7: Heat offers various game modes, Story Mode, Quickplay and multiplayer mode, where you can play with a friend who is on the same network or through Gameloft Live with many players. In Asphalt 7: Heat will have to drive as fast as you can, but always with an eye on the items and gifts you'll find along the circuit. Get cash you'll find the race or finishing on the podium, get him in the store to buy new cars and upgrades. The graphics are stunning Asphalt 7 and find great detail both in cars and on the track. Also if you play from the new iPad will have a screen fully optimized. In Asphalt 7 can play in two different ways, using the accelerometer or touch controls that appear on the screen, the one that best suits the way you play. If you play on the way 'history' have to win races to get: money to buy upgrades and new cars, reputation points to gain respect on the streets and finally stars, which are those that unlock new levels, new cars and improvements that you can buy at the store. If you just want to get to burn some wheels have mode 'Quick Play' where you can select the level of racing, the circuit and the car that will run. There's also a random mode where your iPad select all options for you, if you are a little hesitant. 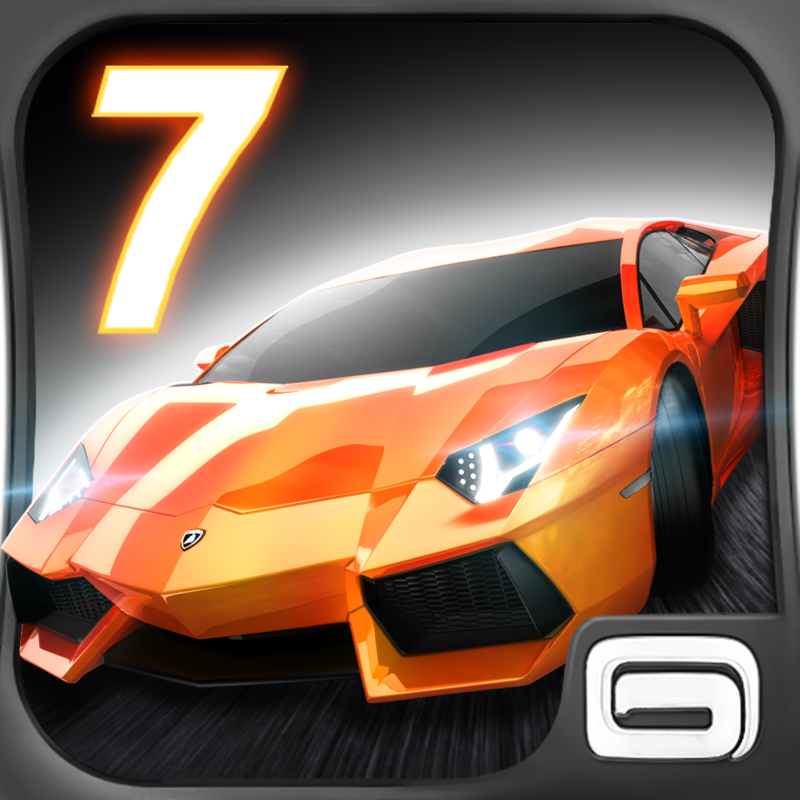 Asphalt 7: Heat for iPad is a great racing game level in the App Store . Gameloft has worked hard the graphics and especially the lighting and the brightness of the night scenes. The gameplay is extraordinary play from the iPad with the accelerometer is very funny. Also since the last update you can customize the controls in the menu mode opciones.También enjoy the 'Multiplayer', where you can have fun with 4 friends and play in a local network or play with anyone in the world through Gameloft Live!